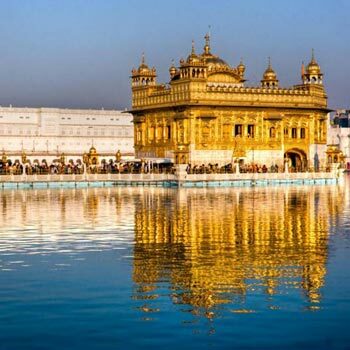 The Golden Temple, located in the city of Amritsar in the state of Punjab,is a place of great beauty and sublime peacefulness. Originally a small lake in the midst of a quiet forest, the site has been a meditation retreat for wandering mendicants and sages since deep antiquity. The Buddha is known to have spent time at this place in contemplation. Two thousand years after Buddha's time, another philosopher-saint came to live and meditate by the peaceful lake. This was Guru Nanak (1469-1539), the founder of the Sikh religion. 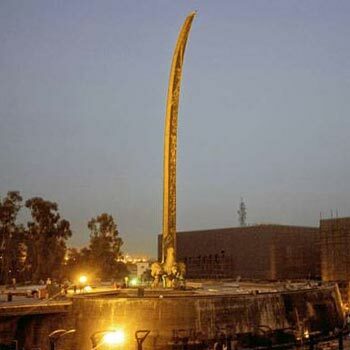 After the passing away of Guru Nanak, his disciples continued to frequent the site; over the centuries it became the primary sacred shrine of the Sikhs. 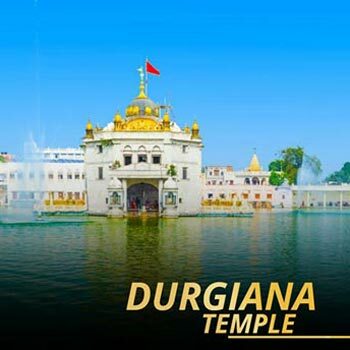 The lake was enlarged and structurally contained during the leadership of the fourth Sikh Guru (Ram Dass, 1574-1581), and during the leadership of the fifth Guru (Arjan, 1581-1606), the Hari Mandir, or Temple of God was built. From the early 1600s to the mid 1700s the sixth through tenth Sikh Gurus were constantly involved in defending both their religion and their temple against Muslim armies. 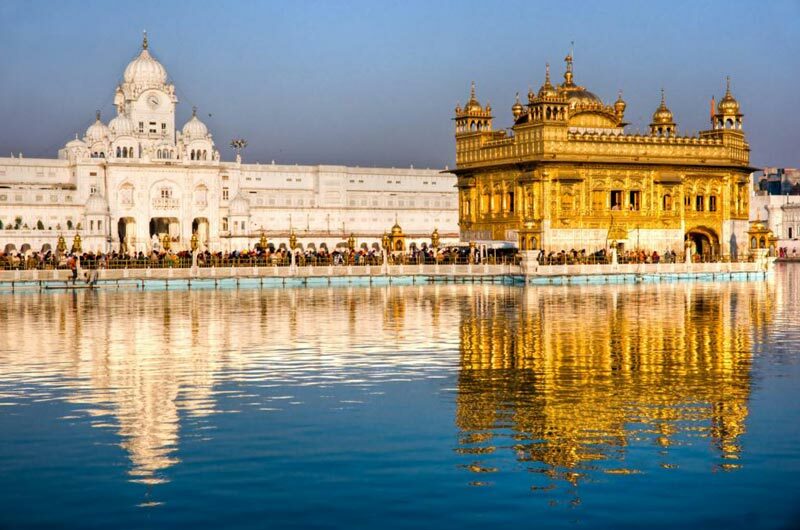 On numerous occasions the temple was destroyed by the Muslims, and each time was rebuilt more beautifully by the Sikhs. From 1767 onwards, the Sikhs became strong enough militarily to repulse invaders. Peace returned to the Hari Mandir. 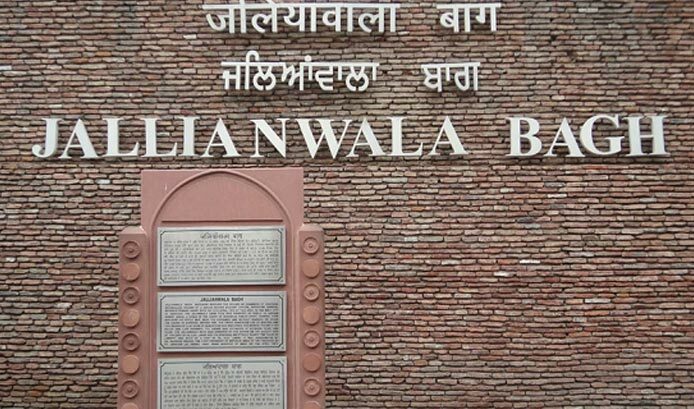 The 1919 Amritsar massacre, known alternatively as the Jallianwala Bagh massacre after the Jallianwala Bagh (Garden) in the northern Indian city of Amritsar, was ordered by General R.E.H. Dyer. On Sunday April 13, 1919, which happened to be 'Baisakhi', one of Punjab's largest religious festivals, fifty British Indian Army soldiers, commanded by Brigadier-General Reginald Dyer, began shooting at an unarmed gathering of men, women, and children without warning. Dyer marched his fifty riflemen to a raised bank and ordered them to kneel and fire. Dyer ordered soldiers to reload their rifles several times and they were ordered to shoot to kill. Official British Raj sources estimated the fatalities at 379, and with 1,100 wounded. Civil Surgeon Dr Williams DeeMeddy indicated that there were 1,526 casualties. However, the casualty number quoted by the Indian National Congress was more than 1,500, with roughly 1,000 killed. 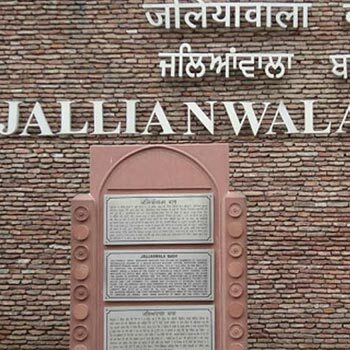 On April 13, the holiday of Baisakhi, thousands of Hindus, Sikhs and Muslims gathered in the Jallianwala Bagh (garden) near the Harmandir Sahib in Amritsar. Baisakhi is a Sikh festival, commemorating the day that Guru Gobind Singh founded the Khalsa Panth in 1699, and also known as the 'Birth of Khalsa.' During this time people celebrate by congregating in religious and community fairs, and there may have been a large number who were unaware of the political meeting. The foundation for the Gobindgarh fort was set during the mid 18th century by the Bhangi misl community’s leader. 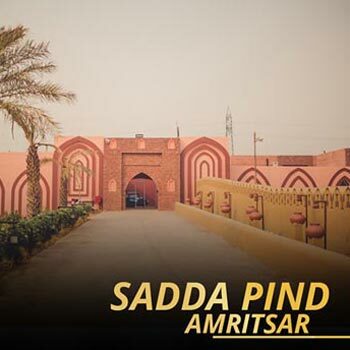 The fort was initially a symbolic representation of Punjab in such a way that anybody who conquered the fort was believed to have conquered the state of Punjab itself. This structure is mostly made from brick and lime. 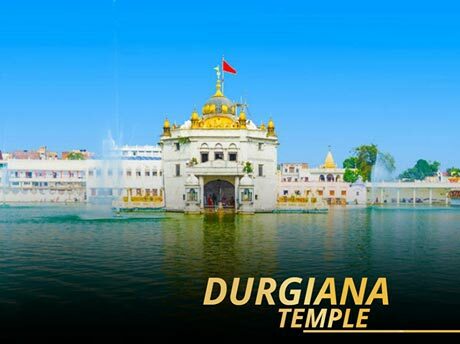 It was earlier known as Bhangian Da Kila, it was later renamed as Gobindgarh after the tenth and last Sikh guru, Guru Gobind Singh. Sometime during the 19th century, this fort came under the control of Maharaja Ranjit Singh and he added valour and elegance to the already mighty building. A moat and numerous bastions were constructed around the fort and the Raja’s priceless treasures, including the famous Kohinoor diamond was kept safely protected within the huge walls of the fort. Zamzama was traditional and famous cannon that Maharaja Ranjit Singh was eying for a long time. This was originally housed in Lahore under the custody of Ahmad Shah Abdali, however the Bhangi misl people stole it from here and brought it to Gobindgarh Fort. 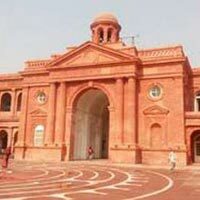 However, when Maharaja Ranjit Singh captured Amritsar, the cannon were taken back to Lahore, where it still stands as a strong sentinel just at the entrance of Lahore Museum. 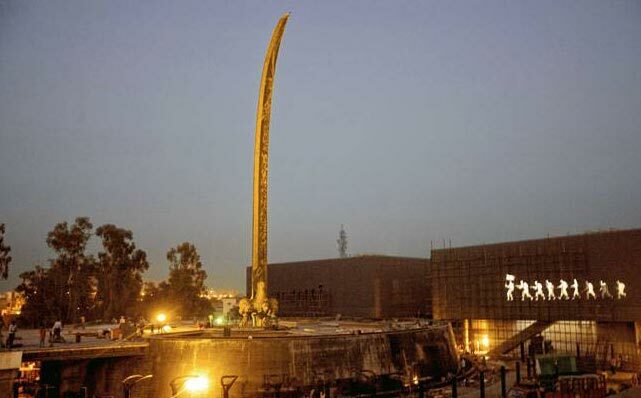 The Punjab State War Heroes' Memorial and Museum is located on a plot of about three hectares abutting Amritsar - Attari Road on the outskirts of the holy city of Amritsar. 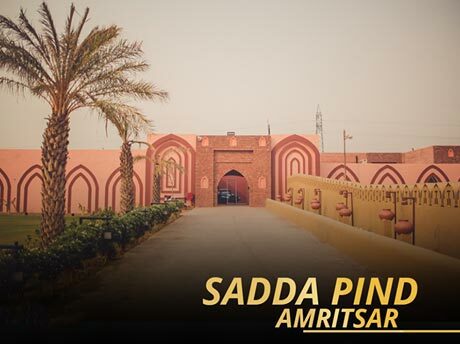 Its location on the National Highway-1, and that too only 18 kms away from Indo-Pak International border makes it a prominent landmark and source of attraction for the tourists who visit a daily event of interesting beating-retreat ceremony at the Wagah Border. 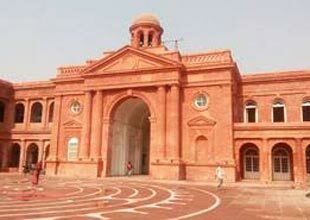 The memorial-museum is aimed at to showcase the splendid gallantry deeds of the brave hearts of Punjab. 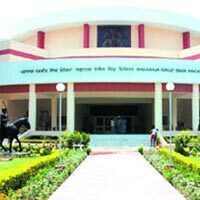 It is planned to immortalize the deeds of brave soldiers and to inspire and infuse the spirit of patriotism in the youth. 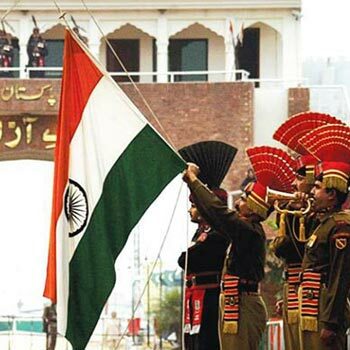 Wagah Border, also referred to as the Berlin Wall of Asia, is the only road border crossing between Pakistan and India which lies on the Grand Trunk Road flanked by the cities of Amritsar, Punjab in India and Lahore, Punjab in Pakistan. This only crossing point between Pakistan and India is regularly open to foreigners. The border gates have a visitor gallery on each side, on the whole concrete steps created around the border main road. This allows most people in the crowd to get a seat but it is not exceptional to see up to 500-1000 people standing at the outside edge. There are metal barriers to help direct and be in command of the crowds in and out of the seating areas. At the doorway of this outpost, there is a sightseeing gate with a dedication ‘Swarna Jayanti’. There are electrified barriers with 66,000 volts of electric current. Wagah border tour offers you to see all these attractions along with “Beating the Retreat” ceremonial carried out by the soldiers in evening. 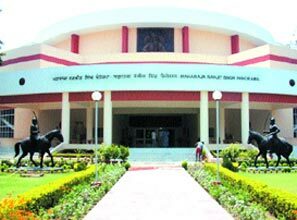 Harike (or Hari ke Pattan), noted for being the village in Tarn Taran District in Punjab, Northern India where Guru Angad Dev Ji the second Sikh Guru was born (March 31, 1504) is about 40 km from Moga by road; the nearest railhead is Amritsar (60 km)). 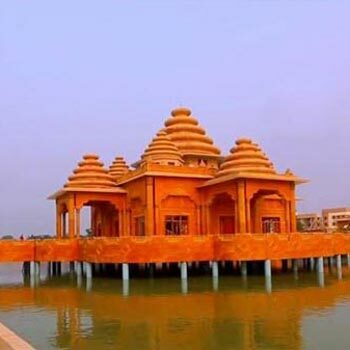 Sri Hari Ke Pattan Gurdwara Nanaksar (video at YouTube ) with its beautiful colorful gardens is located on the banks of the wetland at Harike Lake. The nearby Harike Barrage, located downstream from the confluence of the Beas and Sutlej rivers, channels water into the Indira Gandhi Canal, which runs for about 400 miles (640 km) to the southwest. The barrage was constructed to meet the irrigation and drinking needs of southern parts of Punjab and the adjoining state of Rajasthan. 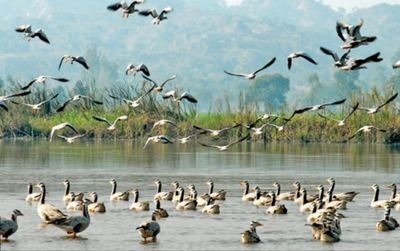 The resulting Harike Wetland, including Harike Lake in its deeper part, is the largest wetland in northern India in the Amritsar district of Punjab state, in India. 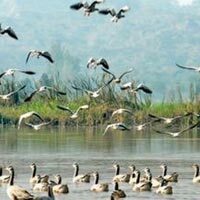 The wetland has long been considered to be one of India’s six ‘lungs’, when new the wetland covered more than 41 sq. km. For 30 long years it remained, thankfully, undisturbed. Over the years it grew into a blissful 'summerhouse' for migratory birds from far-off places such as Siberia and Eastern Europe. Besides the birds, Harike became the home for rare Indian species like the test dine turtle and the smooth otter. Both are listed in the International Union for Conservation of Nature red list of threatened animals. The wetland was known for its large population of avifauna like the diving ducks, scup ducks, falcate teals and the white-headed stiff-tailed ducks. Those undisturbed 30 years allowed Harike to emerge as an ideal habitat for waterfowl. Wetlands are extremely essential not only for hydrological and ecological processes but also because they support rich fauna and flora. Having a particular Wetland recognized for its importace, at the international level, is done after considering the ecological, botanical, zoological and hydrological criteria, hence, when Harike’s selected n in this category, it should have generated a spontaneous and duty-bound response from the bureaucrats who were heading the related departments from 1982 onwards.